But now a troublemaker has arrived and there is rumour of revolt. A revolt that depends on a criminal that no-one can trust and a young girl who must master Allomancy - the magic that lies in all metals. Sanderson’s Laws of Magic. Those four words right there are one of two main reasons I’ve shied away from reading anything by Brandon Sanderson until now (the other reason being a contrary streak in my nature that makes me resist recommendations of prolific, well-loved authors until I bloody well choose to read them – against all logic and good sense, I know). To me, the words ‘laws’ and ‘magic’ have no right being in such close proximity to one another: magic, by its very definition, is nebulous, mysterious and unknowable. Fair enough, most fantasy stories wouldn’t be very interesting if magic didn’t have limitations and consequences; however, imposing strict rules and providing detailed definitions turns magic . . . into science. And correct me if I’m wrong, but most people who read fantasy are drawn to its, well, fantastical nature. They want to read about what is possible, not what isn’t. Anyway. The disgruntled part of me – the part that knows that amazing books such as Jonathan Strange & Mr Norrell are awesome precisely because of magic’s vagueness and unpredictability – expected to dislike this first outing with Sanderson, and to feel fully justified in continuing my grumbles about ‘laws’ and ‘magic’ into the foreseeable future. However . . . I really, really enjoyed The Final Empire. The first book in Sanderson’s bestselling Mistborn series, The Final Empire is of course based around a strongly defined magic system. ‘Allomancy’ is the practice of swallowing metal and then ‘burning’ it in order to access magical powers, with different types of metal granting different kinds of power. It sounds ridiculous (I myself spent much of the novel with a nagging voice in the back of my mind whispering, “that can’t be healthy!”) but it’s actually very innovative, though at times it feels as though we’re being lectured about it in place of seeing it in action. Indeed there are large parts of the beginning of the story that consist of pages of exposition regarding the finer points of allomancy, giving it the feel of a scientific journal rather than an exciting fantasy (there’s even a helpful table included as an appendix, in case readers want to brush up on internal vs. external metals, and which ‘group’ they fall into). There’s too much telling and not enough showing, at least at the beginning. I found myself feeling similarly spoon-fed as the main characters first came together to discuss the ‘grand plan’ that is the focus of the story. Not only do characters repeat certain points over and over again, but the main character also writes the main points of this super-secret plan in clear bullet points on a big blackboard, as though spelling things out s-l-o-w-l-y for us dull-witted readers. I also found the first few demonstrations of allomancy in action to be similarly repetitive, with almost each new paragraph of a fight scene beginning with the phrase, “Kelsier burned [insert appropriate metal here] and then [insert appropriate action here],” which became somewhat tedious. Happily, the novel improves vastly as it progresses, and as we become more involved with its main characters. The two protagonists of The Final Empire are radically different: one is a reckless, egotistical man, cocky and confident in his mastery of allomancy; the other is a young fearful street girl, struggling to accept that she too has powers, and fighting against her natural instinct to distrust everyone around her. Although I know plenty of people are huge fans of Kelsier I found him to be irritating and unsympathetic for the majority of the novel, despite his tragic background and supposed charisma. My favourite character by far is Vin, and I really liked the way her character is developed: she gradually comes into her own as a main character rather than being thrust into the limelight, and I enjoyed the way that Kelsier begins to take a narrative backseat to allow Vin to come to the forefront instead. The allomantic combat scenes also become much more complex and exciting as the story focuses more and more on Vin, who is discovering new and interesting ways to apply her myriad powers to any problem she encounters. Aside from the numerous exposition scenes at the beginning there is never a dull moment in The Final Empire. The characters are always busy setting things in motion, and the settings they occupy are varied and vivid, whether it’s a dingy mine, a royal ballroom or a mist-shrouded city street. The steadily increasing pace makes for an especially climactic build-up to the final events, and there are a few surprises along the way that keep the momentum rolling along nicely. 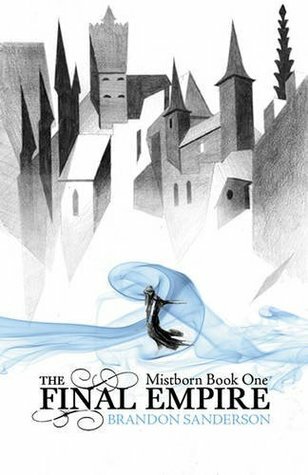 The last couple of hundred pages in particular are full of just one more chapter-type excitement – not at all the stuffy, rule-obsessed pedantry I thought it would be – and I can’t wait to get hold of the next Mistborn book, The Well of Ascension. Against all expectations I now openly declare myself a Sanderson convert, and highly recommend The Final Empire to anyone who hasn’t yet tried his books. As a born-and-bred northerner I’ll admit I had doubts about how much I’d enjoy a book centred entirely around the life and culture of London . 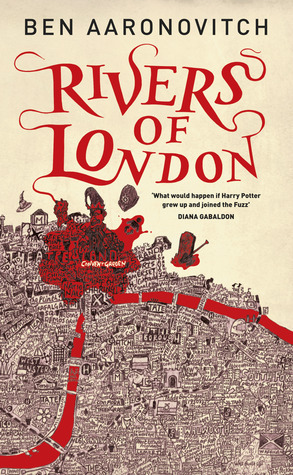 . . but against all my natural instincts I found myself completely charmed by Rivers of London. Actually, perhaps ‘charmed’ isn’t quite the right word; rather, being whisked along on this peculiar journey down unfamiliar streets has left me blinking and befuddled – in a good way. Rivers of London is refreshing in that it never pretends to be anything other than it is: a shamelessly daft, irreverent and slightly ridiculous story told through a funny and engaging first person narrator. Peter Grant is a regular dogsbody in the London Met until, in the face of all probability, he’s informed that “yer a wizard, ‘arry!” and roped into joining the hidden arm of the police dealing with cases of supernatural lawbreaking. Grant’s first case as a real copper is to find out who – or what – is snatching bodies and forcing innocent people to do unspeakable things. One of the first things that stands out about the book is that Aaronovitch doesn’t shy away from violence and swearing: both are fairly prolific, yet fitting with the characters and circumstances, and the swearing never feels gratuitous despite being used largely for humorous effect. Rivers of London is a lot of fun. I can already tell the books in this series are going to be the sort of fast, fun reads that I can turn to whenever I need rescuing from a reading slump, or as a reprieve after reading something tome-ish. I get the impression that Rivers of London has barely scratched the surface of Aaronovitch’s crazy world, and I’m really, really excited to get my hands on book two, Moon Over Soho. I’m starting to feel like a stuck record when it comes to The Expanse. 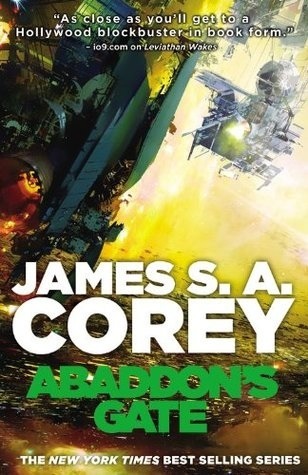 Having just finished the third instalment, Abaddon’s Gate, I can do little but repeat what I’ve said about the other books in the series: I described both Leviathan Wakes and Caliban’s War as fun, fast-paced and accessible SF adventures, and that’s exactly what Abaddon’s Gate is as well. The mysterious protomolecule has been busy since we last saw it at the end of Caliban’s War. After spending a year lurking beneath the gas clouds of Venus it has now emerged in full force and established an eerie manifestation near Uranus referred to by scientists only as ‘the Ring’. Anyone stupid enough to enter the Ring either disappears or is killed instantly. In a fragile alliance the three major forces of the solar system – Earth, Mars and the Outer Planets Alliance – embark on a research mission to try and determine what the protomolecule is really up to. But when hostilities break out once more between the allied forces the research mission becomes a race against time: figure out what the protomolecule wants, or be trapped inside the Ring forever. The physical scale of the story in Abaddon’s Gate is larger than ever before, both in terms of the space travelled and the settings. Much of the book is set on a colossal starship known as the Behemoth – formerly the Nauvoo, a generation ship built to sustain human life for hundreds of years with the aim of colonising the far side of the solar system. 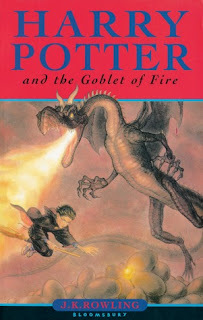 However, there’s also plenty of the dizzying vacuum and stifling tunnel-crawling we’ve become accustomed to throughout the first two books, which is once again effectively used to create scenes of both claustrophobic desperation and pulse-pounding excitement. 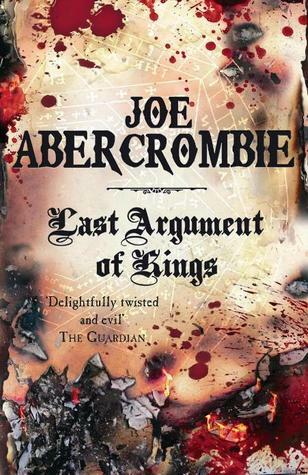 On the whole I felt that Abaddon’s Gate suffered ever-so-slightly slightly in comparison to its awesome predecessor, Caliban’s War, though this is largely due to the absence of my two favourite characters from that book. Once again the only recurring POV character here is Jim Holden – who is thankfully just as likeable as ever, as are the trusty crew members of his ship the Rocinante. Although the other three main characters are also very engaging and sympathetic (albeit to vastly different extents) I just didn’t quite connect with any of them as much as I did with the characters from the first two books, although I have to admit that the way the relationship between Anna and Melba played out was fantastic. That said, Abaddon’s Gate captured my interest totally from beginning to end. It’s a fast, fun, exciting, slightly OTT space adventure and once again I look forward to devouring the next book in the series, Cibola Burn. Ancillary Justice won about a million SFF awards last year; and while I haven’t read enough of the other contenders’ work to judge whether this one truly deserved all the top spots, I can say that it had me rooting for the unlikely protagonist throughout, and left me wanting more. 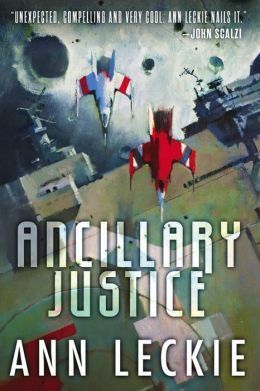 Ancillary Justice plays with futuristic possibilities of science and technology, and subverts the way we think about concepts such as humanity, social inequality and gender. In Leckie’s future, ancillaries are a common feature on many ships. Created by fusing the AI of a spaceship with the body of a human being, ancillaries are intelligent yet inhuman extensions of a ship’s consciousness. But although they are looked down upon by society and treated merely as pieces of equipment by those they serve, there is much more to some ancillaries than their creators could have anticipated: the protagonist of Ancillary Justice is (as the title suggests) an ancillary who is on a personal mission to exact revenge on the individual who betrayed her captain and destroyed her ship. Breq proves to be far more than simply a slave of the Radch, and is moulded yet not defined by her complicated interactions with those around her. As a protagonist she is unusual, intriguing and more than a little likeable. I initially found the plot of Ancillary Justice to be slightly confusing, although this probably says more about my own lack of familiarity with the genre and its tropes than it does about the novel itself. However, I would have been prepared to endure even more confusion if it meant avoiding the infrequent yet unwarranted infodumps scattered throughout the beginning of the book. This doesn’t happen often enough to really detract from the story, but it has to be said that there are one or two awkward instances of the old ‘let’s have a detailed conversation about lots of things we as characters clearly already know about,’ where I would have preferred a gradual drip-feed of information instead. My usual diet of traditional fantasy doesn’t generally stretch my brain in these sorts of directions, and I find figuring things out for myself to be fun rather than frustrating. The main thing I struggled to get my head around was the concept of the novel’s antagonist, largely due to the somewhat bewildering use of pronouns used by characters with multiple embodiments. Thankfully things became much clearer as the novel progressed, as did the subtle differences between the three different incarnations of the protagonist herself: I came to really appreciate the divergences in her behaviour between the past and the present. In fact, I would love to read Ancillary Justice again in the future having finally got my head around the way things work in the Radch. A point of interest within Ancillary Justice is the lack of gender in the imperial language of the Radch. As a result the first person narrator Breq refers to everyone as ‘she’, regardless of their actual gender. 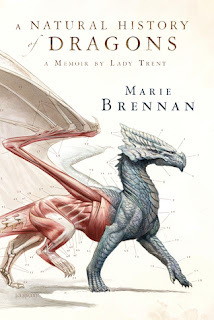 While this does lead to some confusion – namely in the instances where Breq is speaking in another language and is forced to try and pinpoint others’ gender in order to correctly address them – eventually it becomes such a natural part of the narrative that you stop even trying to figure out whether a character is a man or a woman because, in Leckie’s world, it simply doesn’t matter. I would probably never have bought this novel if not for a bored evening spent searching for potential new reads using Amazon’s ‘Look Inside’ feature. The beginning of Ancillary Justice – a chance meeting in suspicious circumstances with someone the protagonist has not seen in a thousand years – was sufficiently intriguing to hook me into buying, as was the clearly unconventional nature of the protagonist herself. The rest of the story is engaging and continues in a way that keeps the reader intrigued: it’s well-paced and nicely structured, with chapters that alternate between past and present to gradually reveal more and more about events leading up to the main plot. Furthermore the reader is made to care about secondary characters, including those not central to the main plot, despite the fact that we’re encountering them through the impassive filter of an ‘inhuman’ AI. And of course there’s the AI herself: she’s the main focus of the novel and I really came to care about her story, enough that I want to immediately grab the next book in the series to see what’s next for Breq. Bring on Ancillary Sword! Kell is one of the last travellers — magicians with a rare ability to travel between parallel universes connected by one magical city. There’s Grey London, without magic and ruled by the mad King George III. Red London – where magic is revered, and where Kell was raised alongside the heir to the empire. 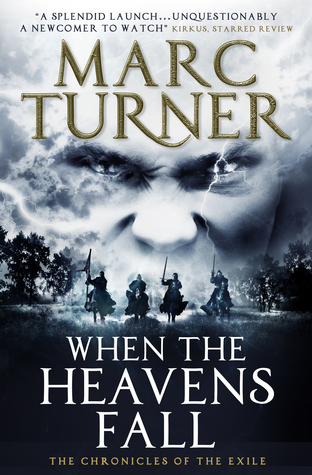 White London – where people fight to control the remaining magic and magic fights back. And once there was Black London . . .
Officially, Kell is the Red traveller, carrying letters between the monarchs of each London. Unofficially he is a smuggler, a defiant hobby with dangerous consequences. 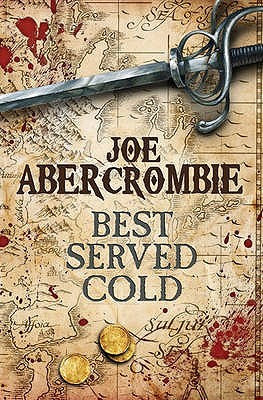 His escape to Grey London leads to a run-in with Delilah, a cutpurse with lofty aspirations, who forces Kell to take her on a proper adventure. But perilous magic is afoot, treachery lurks at every turn, and an adventure becomes a mission to save all of the worlds. I’m a little bit embarrassed to admit that I bought this book solely because of its cover. It- Actually, no, I’m not embarrassed at all: that’s what covers are for, isn’t it? And that is one seriously gorgeous cover. Luckily there’s an equally gorgeous story lying behind it. A Darker Shade of Magic is filled with beautiful settings and bloody magic, cross-dressing thieves and nefarious villains, magical utopias and fearsome dystopias, not to mention fun adventures and several heroic attempts to save the world. Or I should say worlds, of which there are four. Each of the four worlds – closed off from one another after terrible past events – are completely different, yet all have a single common point: the city of London. Each of these Londons (not all of which are actually called London) is vastly different from the others: Red London is a magic-infused paradise, Grey London is akin to early 19th century England, White London is dangerous and filled with half-starved cannibals, and the less said about Black London the better. 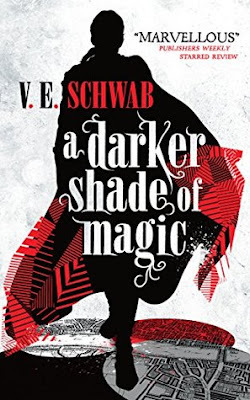 A Darker Shade of Magic focuses on two incredibly likeable characters: Kell, a powerful magician and adopted member of the Red London royal family; and Lila, a dirt-poor thief from Grey London who dreams of adventure. An unlikely pairing, but one which must work together to travel between Londons and thwart those trying to bring doom upon both their worlds. The relationship between Kell and Lila forms a large part of the story, and much of the novel’s humour arises from their interactions and the dry way in which they antagonise one another. However, their relationship is not the sole focus of the story – much to the author’s credit. A romance storyline between the two could easily have taken centre stage, and yet this particular element is remarkably downplayed and subtle. Instead it’s more about how Kell and Lila gradually come to trust one another, and how their initially antagonistic relationship becomes something stronger through their mutual desire to put things right and save the worlds. There’s just a hint or two that there may be more than just friendship on the horizon, which is both realistic and lovely at the same time. No, the true focus of the novel is on its plot rather than its characters; and while I would have liked to have been given more insight into each of the characters as individuals, the author nonetheless does a credible job of developing them both whilst remaining focused on the events. The plot itself is relatively straightforward, but with enough twists and turns thrown in to keep the reader guessing; and the writing is flowing and engaging. In fact certain parts of the prose – not to mention the setting, as well as the somewhat nebulous nature of the magic itself – put me in mind of Susanna Clarke’s excellent novel Jonathan Strange and Mr Norrell. Schwab’s novel is not as accomplished nor as ambitious as Clarke’s behemoth – indeed, A Darker Shade of Magic’s strength is in its fast pacing and tightly-focused plot – but its spirit is much the same, as is its focus on magic’s darker, subtler side and its potential to bring out both the best and the worst in people. 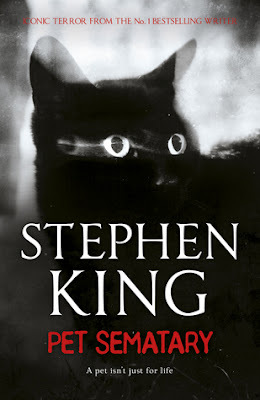 While many aspects of the novel are somewhat dark and sinister (as the title suggests), the story itself is a whole lot of fun. The strong pacing and short chapters – as well as the likeable characters and compelling plot – conspired to make me finish the book in just two sittings, and I’m really happy to have discovered a new author as a result of my shallow over-appreciation of fine cover art. Even better, a look at the author’s website tells me that there’s a sequel due out next year. I’m confident it will be just as good, if not better, than book one . . . I can only cross my fingers and hope it looks just as pretty on my shelf! The above blurb is as ominous as it is deliberately vague, and I’m not one for hedging and hinting; so if you haven’t read this book yet and don’t want to know any more details about its premise, then read no further. You have been warned. We’re in southern England. It’s twenty years on from the cataclysmic outbreak that devastated the world and turned all those it infected into mindless, unstoppable killing machines known as ‘hungries’. In one of the country’s last remaining military outposts a group of children are kept under armed guard; children who only need to eat once a week, are kept underground in steel cells, and who people are only able to approach after coating themselves in scent-blocking chemicals. The children have never thought to question why this might be. Every now and again a child will be wheeled away to the research laboratory, never to return. It’s only when the outpost is overrun that those inside realise the true dangers of the world they live in, and that not all the hungries are the monsters they’re presumed to be. 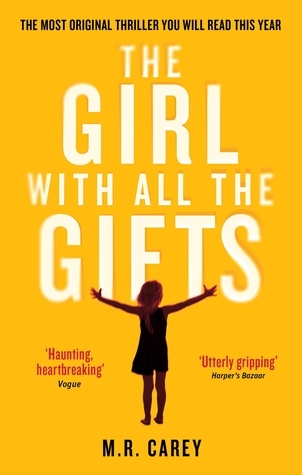 The Girl with All the Gifts is a wonderfully character-centred tale, set in a post-apocalyptic future and focusing on a rag-tag group of survivors with bucketloads of heart, conflict and chemistry. The main focus of the story is Melanie, a ‘hungry’ who retains her own personality and has a genius-level IQ, yet becomes a slavering monster at the barest scent of human flesh. The relationship between the girl Melanie and her former teacher Miss Justineau is the driving force behind much of the novel, and it’s a lovely thing to behold. In a novel filled with violence and despair – a novel that could just as easily have been written as an outright horror story – its focus on human relationships, particularly those based around children, makes it really compelling. It also creates a strong foundation of sympathy for the characters of Melanie and Miss Justineau, particularly when it becomes clear the astonishing lengths to which they will go to protect one another, and how determined they are to stay together against all odds. Almost as heartwarming is seeing how the other characters gradually come to change their outlook, all of which is based around little Melanie. That said, I would have liked a little more insight into the characters of Parks and Gallagher; their military background added a different perspective on the survivalist situation, but they remained very much supporting characters throughout. Another aspect of The Girl with All the Gifts that makes it so absorbing is the fact that it’s written in the present tense. This creates a real sense of urgency and immediacy that keeps the reader constantly on their toes. It makes for a lot of tense moments, one or two in particular involving hungry-infested streets that had me literally holding my breath. Yet another thing I really liked, and that brought the story to life all the more, was how much time the author spent detailing the ‘how and why’ of the infection, most notably through the character of the psychopathic yet brilliant Dr Caldwell. Not only was all the conjecture fascinating, it also sounds totally believable: the cause of the infection has its roots in an existing natural phenomenon (I Googled it!) which sounds both plausible and terrifying. Although I really enjoyed reading it, The Girl with All the Gifts was not what I expected, possibly because I had mixed signals about what to expect in the first place. I’ve heard it frequently described as a horror novel, yet the cover describes it as a thriller. I have to admit I was a little bit disappointed because, to me, it wasn’t quite either of these. Not that it isn’t thrilling (it is, frequently), and not that it isn’t frightening (it is, often), but there isn’t quite enough of either to give it that smack-in-the-gob impact I was expecting. In actuality it’s more of a post-apocalyptic road novel, philosophic and dystopian yet suffused with elements of horror. Which is absolutely fine (it’s actually incredibly effective) . . . it just doesn’t quite reflect the way it’s marketed. This aside, I’d highly recommend The Girl with All the Gifts and really look forward to seeing the film adaptation when it’s released next year. Elsewhere the flame of resistance is growing - Queen Edana finds allies in the swamps of Ardan. Maquin is loose in Tenebral, hunted by Lykos and his corsairs. Here he will witness the birth of a rebellion in Nathair's own realm. Corban has been swept along by the tide of war. He has suffered, lost loved ones, sought only safety from the darkness. But he will run no more. He has seen the face of evil and he has set his will to fight it. The question is, how? With a disparate band gathered about him - his family, friends, giants, fanatical warriors, an angel and a talking crow he begins the journey to Drassil, the fabled fortress hidden deep in the heart of Forn Forest. For in Drassil lies the spear of Skald, one of the seven treasures, and here it is prophesied that the Bright Star will stand against the Black Sun. While I’m still not overly-fond of the A Song of Ice and Fire-style ‘named chapters’ in general, I have to admit that it really, really works here. Many chapters are fairly short and rapidly alternating, creating a sense of adrenaline and setting a breathless pace that had me fumbling to turn the pages faster and mumbling to myself, “just one more chapter”. Other chapters are longer and more detailed explorations of individual characters’ motives and emotions, providing intriguing insights into nearly every aspect of the overarching conflict. With so many disparate groups of characters to keep track of, each chapter becomes a keyhole through which we glean hints of what might happen, and through which we gain numerous perspectives on events. Viewing a battle – along with its associated victories, losses and deaths – from different sides of the conflict brings humanity to each and every character, whether ‘good’, ‘evil’, or in-between. It’s dark, thrilling and bloody. But Ruin’s strongest point is, for me, its characters. The author takes character relationships crafted throughout the first two novels – between friends, family, loved ones and, especially, animals – and brings them beautifully to the fore without overstating them, whilst also forging new ones along the way. He never lets us forget that this entire series is a sprawling net comprised of a thousand little strands of humanity, and that’s what makes it such an engaging and sometimes emotional read. 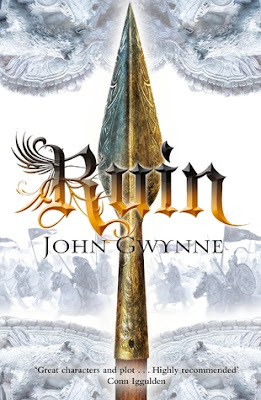 Gwynne has really, really upped his writing game with Ruin, and I have every confidence that the final instalment of The Faithful and the Fallen will continue to thrill, continue to astound . . . and, of course, continue to make me cry like a baby.